If you have to recover from a stroke and are still wheel-chair bound, you won’t be able to follow my exact steps (though you might still learn some principle for your situation). But if you have some amount of mobility, my recipe for recovering from a stroke may help you as well. I am not a doctor nor a therapist of any kind. I am just a person who had to recover from a stroke. I am sharing my story in case you might find it useful, but it does not constitute medical advice. So what do I recommend as a non-specialist who had an ischemic stroke? To recover from a stroke, you have to lift gradually heavier weights. Lifting weights doesn’t just make your muscles themselves stronger; it also trains your nervous system to allow your body to handle greater weight. This is exactly what us stroke survivors need. When I was in rehab and then out-patient therapy, the physical therapists did help me improve, but they couldn’t do much with tiny dumbbells or elastic bands. I don’t think it was necessarily useless, but I don’t believe those are the best tools to use to recover from a stroke. The first time I walked any real distance without my cane, I did so to walk to my local gym down the road. I still felt I needed my cane but I didn’t want the gym staff asking me questions. When I got inside, the many full-length mirrors showed me that my gait was somewhat lop-sided. I went to the squat rack and put a barbell on the back of my shoulders. I squatted down, so that the crease of my hip was just below my knee, and stood back up five times. I rested, and then I did another set of five. Then I did one more set. 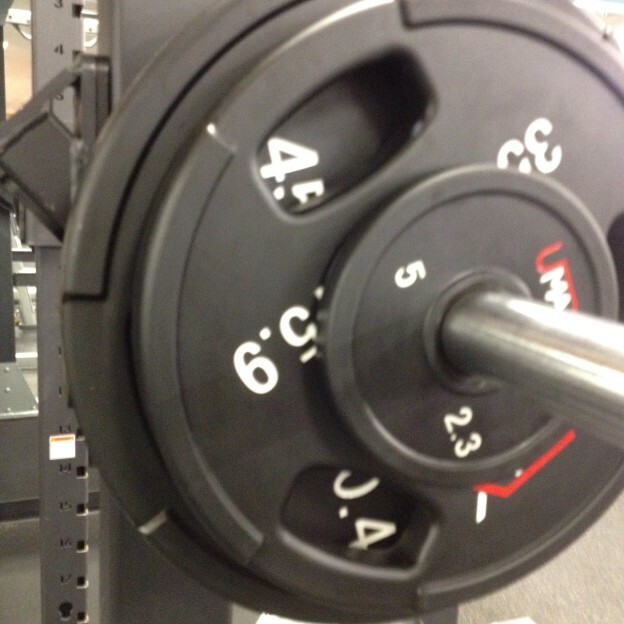 I entered into my log that I had squatted 45 pounds for three sets of five. I did some other exercises as well, but for now let’s just focus on the squat. Two days later, giving myself two nights sleep and one day of rest, I returned to the gym. I went to the squat rack and this time, before I put it on my shoulders, I put a five-pound weights on each end of the bar. I squatted 55 pounds for three sets of five. Two days later I did the same thing with 65 pounds. What if I had found I wasn’t strong enough to squat just the 45-pound bar on the first day? I would have worked up to it using a leg press. What if I had failed at some point to do three sets of five at a new weight? After several tries I would have lowered the weight on the bar ten to fifteen percent and started the process again. Eventually the weight got heavy enough that I started only increasing the weight by five pounds instead of ten pounds (2.5 pounds on each end of the barbell). About two months after my first post-stroke trip to the gym I squatted with a barbell that weighed more than I did. That is why I remain convinced that the best way to recover from a stroke is to get stronger. By that time, I hadn’t touched my walking cane in weeks. If there were any irregularities in my gait, I couldn’t see them. Neither could anyone around me. Friends who hadn’t seen me since before my stroke couldn’t tell that I ever had one. I’m not saying that I have no deficits from the stroke. Maybe I do. But they are miniscule now. And I attribute much of my recovery to lifting three times a week. This entry was posted in autobio, Christian Productivity on February 21, 2016 by mark.